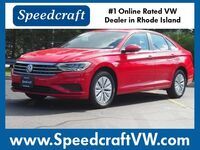 The 2019 Volkswagen Jetta is ready for shoppers in and around Providence RI to test drive. 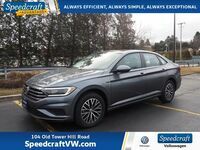 If you are interested in buying or leasing a new Volkswagen Jetta, you've come to the right place. We will be showing you some of the best features of this model to help you find the car of your dreams. Let's get started by taking a look under the hood. 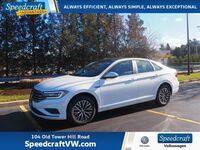 The 2019 Volkswagen Jetta comes standard with a 1.4-liter TSI® engine that has a horsepower of 147 and 184 pound-feet of torque. All Jetta trim levels have this engine for you to enjoy. You can feel the turns and feel the thrill of being behind the wheel with the help of this turbocharged engine. Now that you know more about the Jetta's performance technology, let's take a look at some of its other features. The new Volkswagen Jetta has a lot of the same features that drivers love, but with new changes. We want to give you a broader idea of what this sedan can offer you. 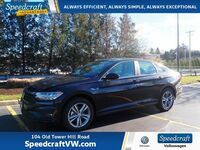 That is why we will be showcasing the key features of the 2019 Volkswagen Jetta in a streamlined fashion. Let's take a look and see what you like. 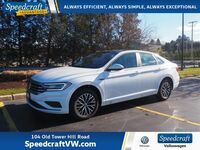 If you would like to learn more about our 2019 Volkswagen Jetta models, you can visit our online inventory and schedule a test drive with us at Speedcraft Volkswagen today.